Nothing speaks quintessential British summer quite like a vibrant, fresh and sun-soaked picnic. Taking the time to sit and take-in your surroundings is a simple pleasure and it can be a really low-cost way for the whole family to enjoy the glorious weather. Here are two of my favourite picnic recipes which can be made in advance and assembled in-situ! Shopping list: 6 ripe vine tomatoes, 1 clove of garlic, 5 tbsp each of olive oil and balsamic vinegar, 1 garlic clove, 1 large handful of fresh basil, gluten free sour dough, salt & pepper to taste. Method: Dice tomatoes, finely chop garlic, tear basil and add to large bowl. Add all other ingredients, decant into an airtight container and place in fridge to chill. Keep back some basil for decoration! Hey presto! 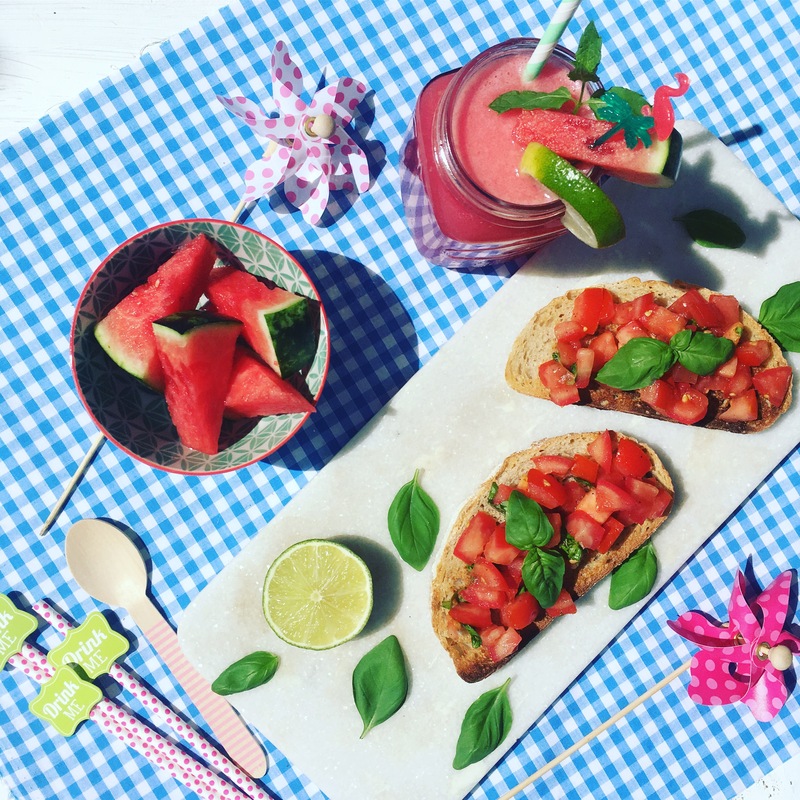 You have yourselves a nutritious, simple light-bite to make all your al fresco dining dreams come true! 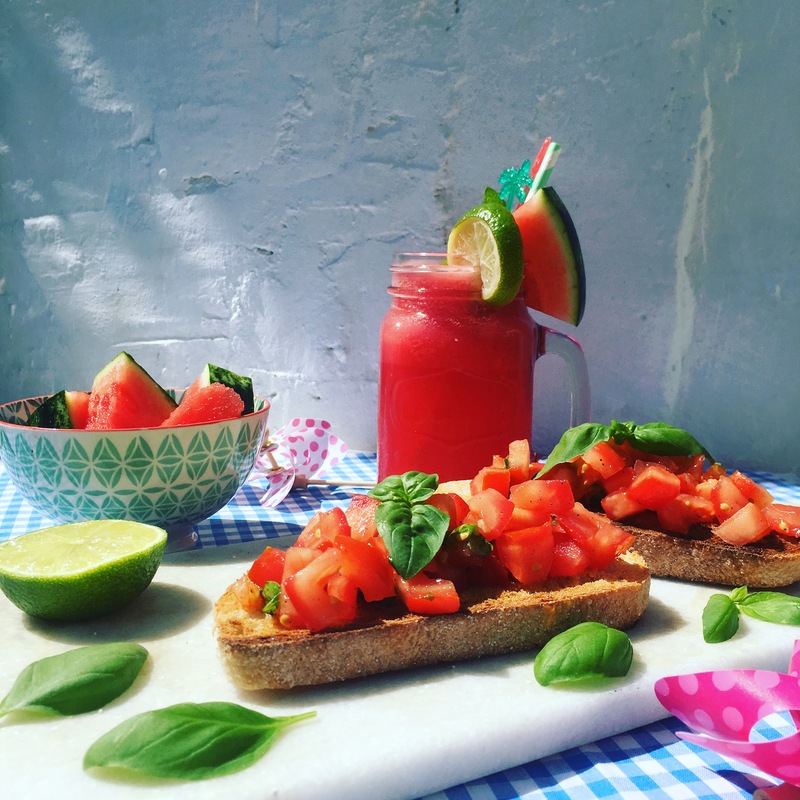 No picnic would be complete without something to refresh and hydrate and this watermelon cooler has every thirst-quenching box ticked! Did you know that watermelon is pre-digested meaning that our bodies barely need to process it when it enters the body? It’s the perfect pick-me-up for hot, sunny days. 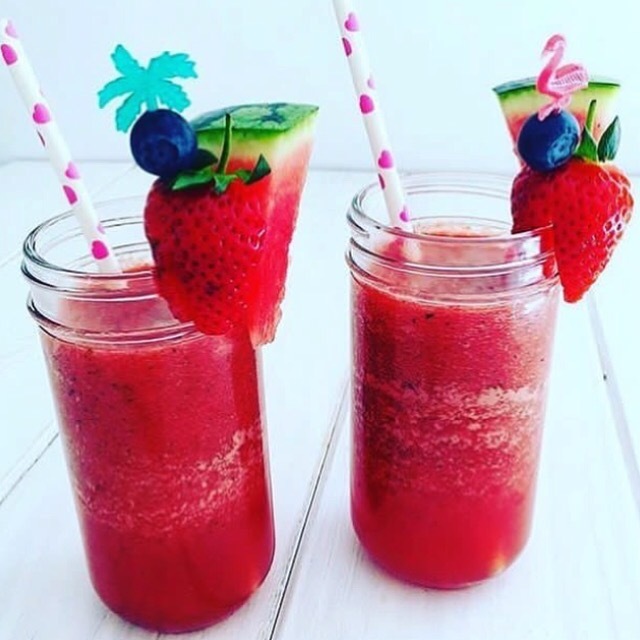 Shopping list: Quarter of a ripe watermelon, juice of 1 lime, 1 sprig of fresh mint, 3 tbsp coconut nectar, 2 tbsp pomegranate syrup, ice. Simply blend and decant into a smoothie bottle. Palm tree and flamingo cocktail sticks are optional! These recipes are bursting with essential vitamins and minerals to nourish, revive and hydrate! The ultimate nutritious duo to keep the whole family happy! Enjoy your weekend and stay hydrated! !